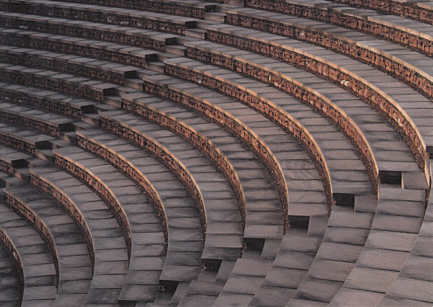 Ancient Roman theatre, built ca. 170/200 AD. Damaged ca. 250 AD, probably by an earthquake. Subsequently restored. Used as a theatre until ca 330/350 AD. Ca. 1850 partly excaved. Numerous restorations since ca. 1900. Originally ca. 10,000 seats. 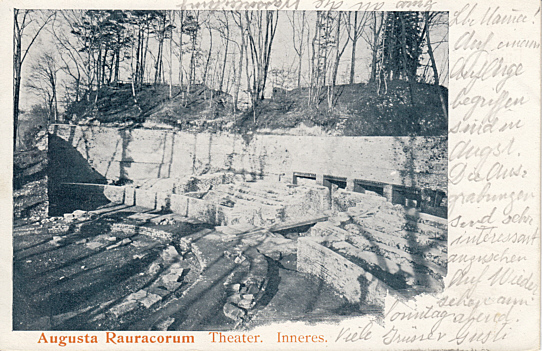 Front Text: "Augusta Rauracorum - Theater. Inneres." Front Text: "Augst. 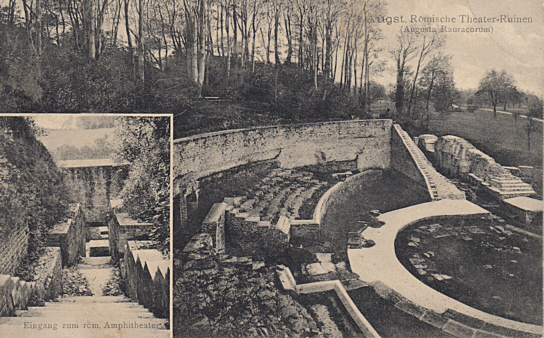 Römische Theater-Ruinen (Augusta Rauracorum)", below left: "Eingang zum röm. 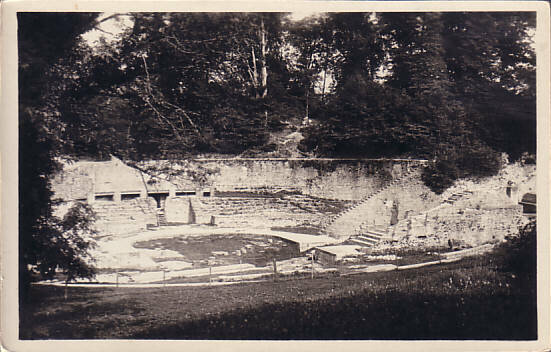 Amphitheater"
Reverse Text: "Augusta Raurica, Das Theater, Le théâtre, The theater"